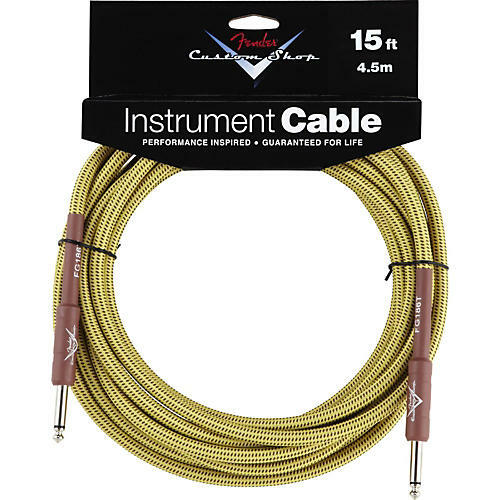 Fender Custom Shop Tweed Cable (Straight-Straight Angle) 15 ft.
Top quality guitar cable in tweed. Fender Custom Shop cables are designed specifically for live performance and are engineered to avoid twisting, kinking and "physical memory." These meticulously constructed cables deliver the best sonic balance between your performance and your equipment. Great look and feel, solid and reliable. Fender logo at the ends. Order today.